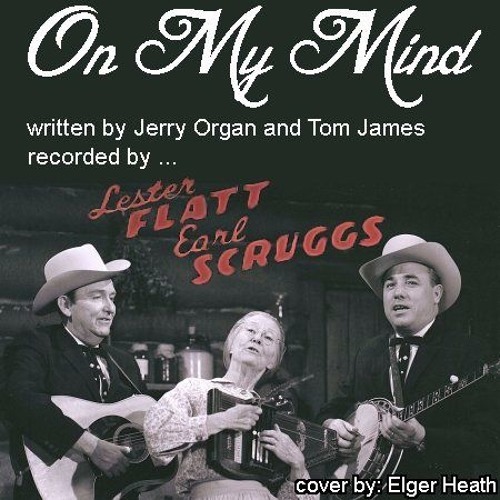 'On My Mind', written by Jerry Organ and Tom James, is one of those pieces that sticks in your memory like glue. I thought that the lyrics were crafty and well thought out and the music was catchy. Recorded by Lester Flatt and Earle Sruggs in 1955, it is part of the lexicon of Bluegrass. Here is my simple one-track cover of the classic, 'On My Mind'.